Our team at Berkeley Bob’s has over sixty years collective knowledge of Volvo service and repair. This was the first automobile manufacturer we specialized in when we started our auto repair business, which has grown to include six additional car makes. Many, many a Volvo has rolled, limped or been pushed into our shop and all but a few have roared out completely ready to face new road challenges. Your “Swedish Steel” driving machine is no longer the caveman car of the past. Today’s Volvo has a myriad of sensors, relays, computers and wiring that bring all the accessories and special features like heated seats, navigation, climate control, moon roofs, airbags, accident avoidance, blind spot warning system, ABS braking and traction control to life. It’s a highly evolved dream machine. Today’s Volvo technicians must be constantly updating their knowledge base. Continued education is a requirement for all of our technicians. Here at Berkeley Bob’s we keep abreast of all new technology, along with updating and acquiring new equipment as needed. We have everything we need to handle even the most complicated Volvo repairs. 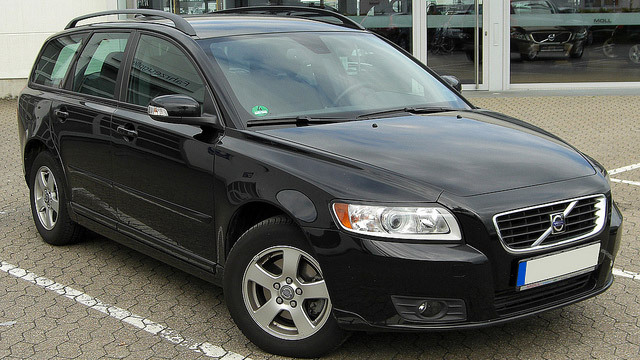 Everyone on our team currently drives a Volvo… some of us haven’t driven anything but. We are committed to the brand. We are in the process of converting a Volvo 850 into an endurance racer which we are hoping to enter in the 24 hours of LeMons Race. We are long standing members of the Golden Gate Volvo Club and sponsor an event at Berkeley Bob’s every February. We pride ourselves in keeping our reputation as a fair, dependable Volvo repair facility and have been serving the East Bay, Berkeley and Emeryville Volvo enthusiasts for over twenty five years. Our commitment to continued education coupled with state of the art technology has prepared us to take on any problem your Volvo has encountered. Electrical, Drivability, Fuel, Check Engine Lights are all everyday concerns solved here at Berkeley Bob’s. Brakes, Suspension, Axles, Timing Belts, Water Pumps, Radiators, 60K, 90K, 120K Maintenance Services, Oil Change Services, we do it all. Call for an appointment today or schedule online. We look forward to servicing your Volvo and meeting with you in our shop.